MamaBreak: Bungee Virtual Tags: Never Lose Your Important Items Again! 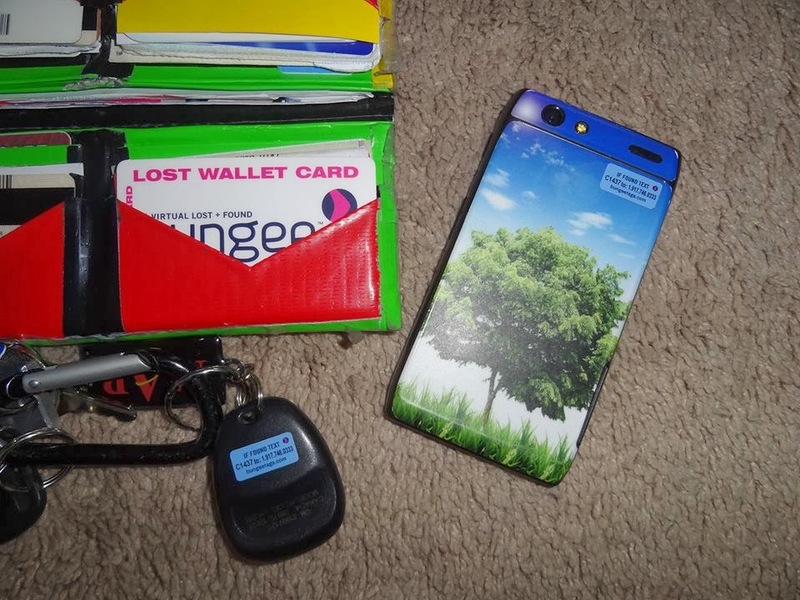 Bungee Virtual Tags: Never Lose Your Important Items Again! Have you ever lost something and wondered if you will ever see it again? I know when I have found something before I always wonder, should I drop it in the mail, hand it over to the police or the sheriff, or try to locate the owner on my own? Sometimes life gets so busy it may be hard to find the time to do this even though I have good intentions. I also have wondered if the police actually take the time to locate the owner if it was something other than a wallet. Well, with bungee tags it really saves time and trouble. Just put a sticker or tag on stuff you would be the most likely to lose ie: wallet, cell phone, keys and sunglasses or eyeglasses. 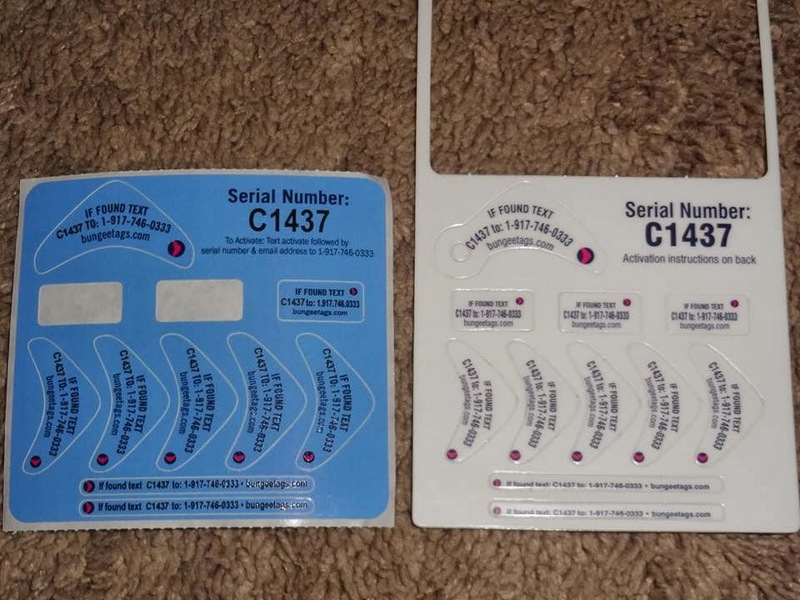 Bungee tags provide several stickers and tags, for virtual lost and found, enough for the whole family to use, although unfortunately there is only one wallet card. I found it very easy to activate and when I pretended to lose my keys and ‘reported found’ on the website, instantly I was notified via text and email. I was prompted to enter the serial number of the item along with my mobile number (which was a fake as your cell is connected to the serial number) and a small message. In the case of a lost phone it is nice to get an email. I have nothing bad to say about this item, however I love my phone skin and did not want to put a sticker on it. I would recommend this to all, especially the forgetful ones. Now, let us all hope that the ‘finder’ does the right thing! MamaBreak received a sample of tags to review here on the site. We did not receive any other type of compensation. As always, our experience and opinions are our own.